OK, it’s not a traditional Halloween Party, but this Special lets you explore whatever old costumes you’re still wearing and any skeletons in the closet. Ideally, when we pass from one life and into the next, we forget what roles we played before. Ideally. But not always! So often in cases of long term illness or injury, difficult finances and troubling relationship patterns, I find that past life events causing extreme emotions, especially trauma, continue to affect people’s lives right now. More details on that right here. You won’t learn every single past life you’ve ever had — at least not in a single hour! The information that comes through tends to be relevant to your biggest current challenges and goals. When you change your perspective, though, the things around you have a funny way of changing, too. This $111 Special offers a $64 savings from my usual hourly rate. Offer expires on Halloween. Please contact me via email to schedule your session, and I will invoice you via PayPal. You don’t need to schedule before the 31st, but the discount only runs through Halloween. Blessed Be and have a fabulous weekend! I posted this on Facebook a few days ago, but I think it’s a great reminder and very much in line with thoughts I’ve shared in earlier blog posts. 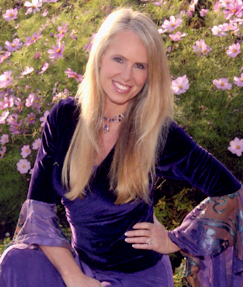 Here’s Paige Bartholomew talking about the inner awakening that expands outwards to create a new reality. “As above, so below. As within, so without.” Enjoy! I just watched this Marianne Williamson interview about her book, “Enchanted Love: The Mystical Power of Intimate Relationships.” Even though it’s an old interview, it resonates so strongly with many of the readings I’ve been doing for people, especially since 2010. So many relationships keep restructuring — reuniting Twin Flames and deep soul connections in order to up the love vibe on this planet. The past few years have raised the bar on intimate relationships, calling many, many Lightworkers to leave mediocre relationships in order to free themselves for extraordinary ones. What might have once satisfied a few areas of life suddenly became intolerable to people, resulting in some surprising divorces and separations of people who seemed happy together on the surface. I’m also seeing tons of reunions of long-lost soul connections! What do I need to do or be to draw that person to me? Can I really have a spiritually fulfilling relationship with someone I also find attractive and compatible on a day-to-day basis? Can I have passion and someone who supports my life path? Do I have a past life connection with my current partner? Why can’t I get over my first love/ex? Can I follow my bliss and remain in this relationship? Will clarity about my past lives allow me to attract a healthy relationship? What do past lives have to do with my unhealthy patterns in relationship? How can I release anything that no longer serves me? I’ve said this, not as an intentional affirmation, but rather as a description of how my life works — why I “always” get the lucky breaks, why I “always” know to move right before some kind of disaster happens where I’ve been living, why I “always” get money in when I most need it, and why I “always” just happen to meet exactly the right people. This has been going on consciously since I had my first sales job selling Canon copiers and fax machines to businesses, way back in 1996-1997. You might not realize it, but I’m actually a very shy person. The only reason I keep my poise when I give talks and classes, and the only reason I can talk to so many people I’ve never met before during phone sessions is because I pray. A lot. Back when I worked for Canon, the company required us to make 25 cold calls a day. For those who don’t know, a cold call means walking uninvited into a business, dropping off your business card and giving them a little spiel about your company and whatever you sell. For a shy person like me, this part of the job terrified me. I got so scared of bothering people that I would often feel paralyzed into a nap instead of work. I would drive home instead of to my territory, crawl under the covers and berate myself for not working. Since I couldn’t survive on my base salary, my “cold call disability” added to the already crippling stress of needing to meet a monthly quota. How, how, how, would I ever meet my quota without making the required 25 cold calls per day, in addition to those equally unpleasant “warm calls” to current customers who might possibly be bothered (er, convinced) into upgrading? I found that the most cold calls I could handle per day was seven, and even that number required a vanilla milkshake from McDonald’s as my reward. Yes, that sounds insane to me now, but in 1996, it kind of worked as an incentive. Kind of. Eventually, I got tired of vanilla milkshakes, and I noticed they made me feel even worse. Nope, nothing seemed to help the sinking feeling in my gut every time I thought about driving from the office to my territory. Just a quick detour would take me to my bed, where I could hide under the covers, safe from scornful eyes, disdainful secretaries, competitive sales reps, and high heels. But I needed the money from quota sales and bonuses. I also sensed that I had stumbled into this job for a reason. That gave me something to work with. I decided that my number was seven — because I like seven and also because it happened to be the most cold calls I could make in one day without wanting to die. Fair enough. I spent a bit of time in my car wondering what to pray for and finally decided to ask that my seven cold calls per day would generate enough leads and sales to hit or exceed my monthly quota every single month. At the offices I visited who weren’t having a synchronous equipment crisis, I experienced other winks from the Divine. For several weeks, every single new secretary I met greeted me with a warm smile, “Oh, it’s SO nice to see you again! We’ve missed you and wondered when you’d come by to check in on us. Do you have anything to leave with us? We’ll be in the market for an upgrade soon.” At first, I tried to argue with them that I was new and no, we’d never met before. They would have none of that, though. They just laughed as though I’d told some kind of funny joke. It made them like me more. From the moment I started praying for inspiration and Divine presence during my cold calls, magic seemed to follow me around. I once cold called what turned out to be a Catholic Church in disguise. “No,” said the nun who answered the door, “we don’t need a copier, but come in child, you have a special glow around you.” She proceeded to give me some kind of prophecy about how I had such a huge light in me that I would spread around the world, in whatever ways I encountered people. Then she gave me a blessing and asked me to visit her whenever I was in the area and felt discouraged. Funny thing: I could never find that “church” again, and when I asked people who knew my territory better than I did, they said nothing like the place I described existed there. It was a volunteer firehouse! I’ve since had so many inexplicable experiences (and a brain injury!) that I no longer require proof or understanding of all the ins and outs of how prayer works. I just know that it does. Prayer works better than anything I know, and if you can combine that prayer with an affirmation of the prayer’s answer, so much the better. “I am always in the right place, at the right time.” Indeed, I am. And you can be, too! Just ask for Divine guidance in all your ways. I sometimes add, “I am always in the right place, at the right time, doing the right thing, and I am a blessing to myself and others.” Life continues to prove this to me so often that this affirmation no longer feels like an affirmation, but rather an irrefutable fact. I’ve grown so accustomed to my magical life that sometimes I forget that many people don’t live this way. I expect miracles, and I receive an abundance of them. When a friend speaks in limited terms to me as though “that’s the way life is,” I feel taken aback for a moment. I don’t tend to pick up on sarcasm very well, so I need to run their limiting comments through my humor filter to determine if they’re joking. I know what they’ve just said to me isn’t true, but do they know it isn’t true? I know they can tap into Source, God, Divine, Holy Spirit, Great Spirit, the Tao, their Subconscious, their Higher Self … whatever they want to call it … and immediately generate whatever circumstances necessary to create or discover what they need. I have no doubt, because for me, this is just how life is. Even my rational mind agrees since it has at least a fifteen year history of repeated proof. Sometimes people say to me, “I wish I had your faith. You obviously have the gift of faith. I admire that, but I don’t have it. You get things because you believe in them, but I don’t know how to believe.” If faith is a gift, it’s one I asked for. What’s the point of praying to quell anxiety if you don’t also feel the peace of knowing your prayer will be answered?! If I have any trouble believing a prayer will be answered, I tack on an extra prayer to that one, “And please help me to know for sure that the Universe is working on this for me. Give me little signs, winks, nudges, and give me the discernment to recognize them.” Because again, what’s the point of signs, winks and nudges if you don’t see them? Very often clients complain to me that they’ve asked for signs and they’re “not getting any.” Then they proceed to recap the most magical week in a monotone voice, completely unaware of the Divine dancing in their midst! After some cajoling, they start to see the power of prayer in action. Abraham-Hicks calls this process, “Ask and It Is Given.” Jesus said, “If you have faith as small as a mustard seed, you can say to this mulberry tree, ‘Be uprooted and planted in the sea,’ and it will obey you.” I say, ask for whatever you need, and it will come to you. Ask for eyes to see, ears to hear, and ask for faith if you want faith. If you want to live a magical, miraculous life, start participating in your relationship with the Divine. Start engaging the Universe. Like any friendship, it can take a bit of time to develop trust. You don’t usually turn to a stranger in a time of crisis and expect to have effortlessly complete trust in that person — unless you sense that they are in tune with something much grander than an “ordinary” stranger. Well guess what, folks? We are all capable of tuning into Source. We are all vessels for the Divine. The word “inspiration” comes from Spiros, the same word for breath. If you are alive, you can literally inhale inspiration. But please don’t hold your breath: exhale those blessings everywhere you go. Then you, too, will be one of those magical strangers. You, too, will become the miraculous presence that calms the storm and uplifts the downtrodden. Yes, it feels like such a strangely short forever, but I have been doing professional Medical Intuitive readings for ten years this month. Much gratitude and love to all my angels, God, Dream Guys, clients, readers and students: Namaste.